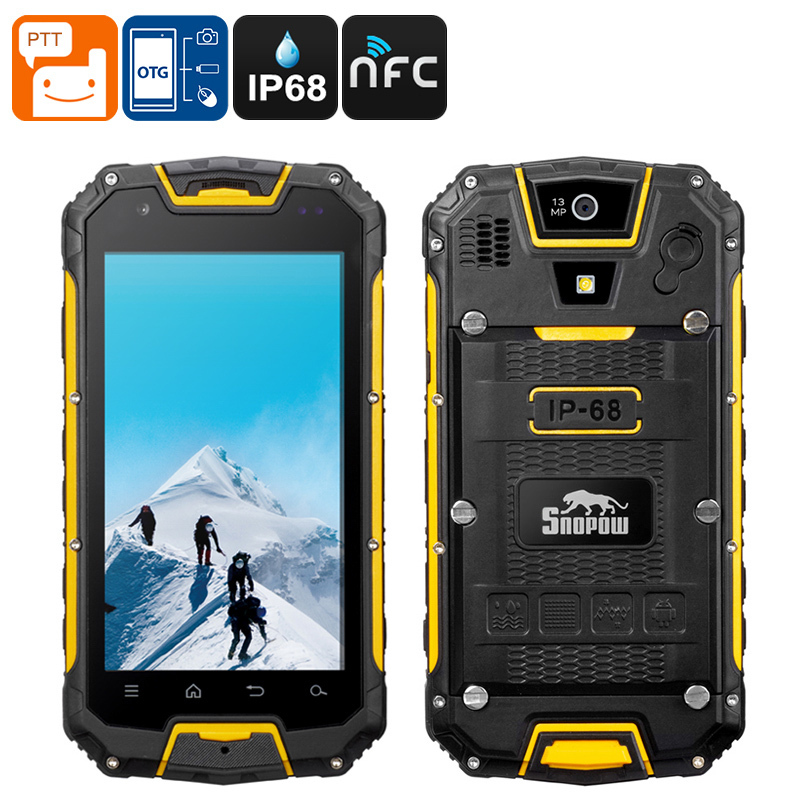 Successfully Added Snopow M5 Rugged Phone - 3300mAh Battery, IP68, Walkie-Talkie, Dual SIm, 4G, Android OS (Yellow) to your Shopping Cart. The Snopow M5 is built for the outdoors. It has a rich set of features and rugged construction to keep you connected wherever you may be. With dual SIM 4G, you get great network coverage and fast downloads but when you're off the beaten path and there are no cellular networks you can rely on the Walkie-talkie function to keep you connected. With its polycarbonate rugged design and rubber grommets for every port, this phone boasts an impressive IP68 rating. This means it can survive submerged in water for up to an hour and it is impervious to dirt ingress. So you can take this phone just about anywhere and be sure it is up to the task of keeping you connected to the harshest environments. The Snopow M5 runs on an Android OS and has a Quad Core CPU running alongside with 2GB of RAM. So you get a swift and smooth performance that is capable of multitasking and all your daily smartphone needs. There is 16GB of internal memory on this rugged phone and you can increase that using the micro SD slot you'll have plenty of room for all your media and apps from the Google Play Store. The rear of this rugged phone is secured tightly in place by several screws which keep its rugged integrity. However, once removed you have access to the 3300mAh battery and can put in two SIM cards as well as the micro SD card. Each SIM slot offers a range of 2G, 3G, and 4G support. This lets you enjoy the fastest network speeds and 4G frequencies of 700 (B12) /800 (B20) /850 (B5) /900 (B8) /1700 (B4) are all supported. A large 3300mAh battery will keep this rugged phone running for up to 100 hours on standby and gives plenty of usage times so you can go a full day without needing to recreate. The phone's 4.5-inch screen is large enough for all your needs whether that is surfing the net, watching videos, or playing games. It has a 244 pixel per inch resolution so you get crisp clear details from all your media. 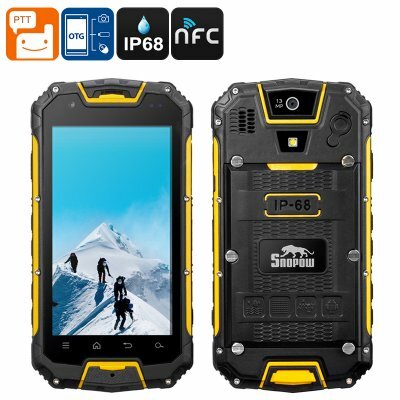 The Snopow M5P rugged phone comes with 12 months warranty, brought to you by the leader in electronic devices as well as wholesale rugged phones and outdoor gadgets.